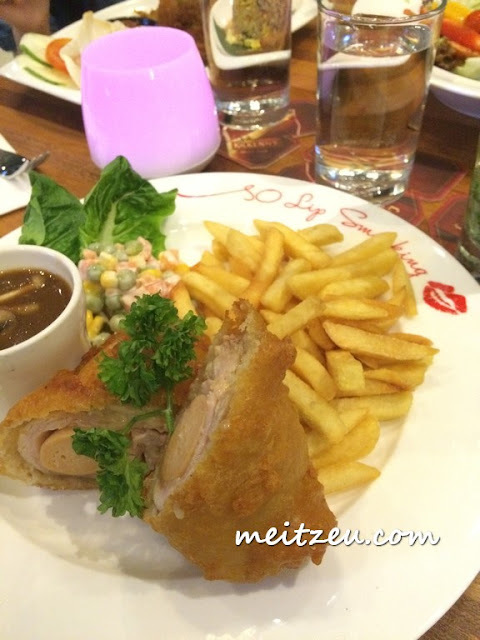 It was weekend and it's a time for us to enjoy good food! 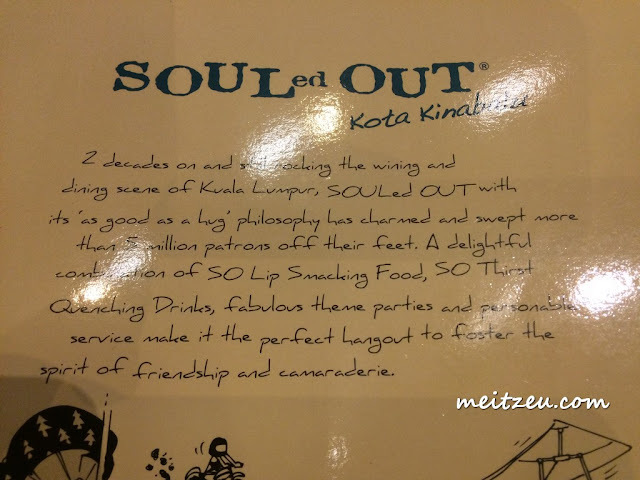 It was the first time I tasted the latest hot topic in town - SOULed OUT. They said that the main one in Kuala Lumpur was good and non the less, KK branch was unexpectedly good as well. 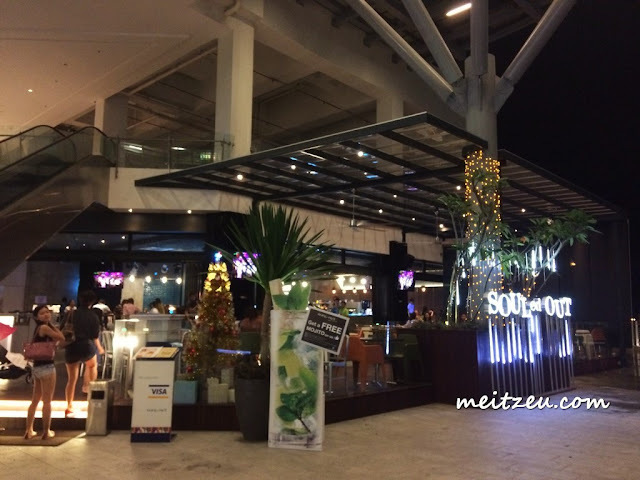 Service was well with friendly staffs around. Here are some of the dishes we had! 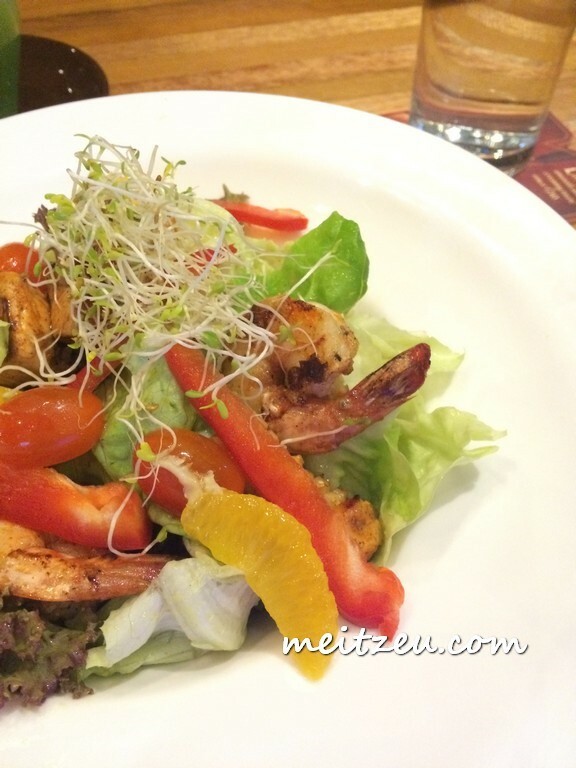 Seafood green salad. 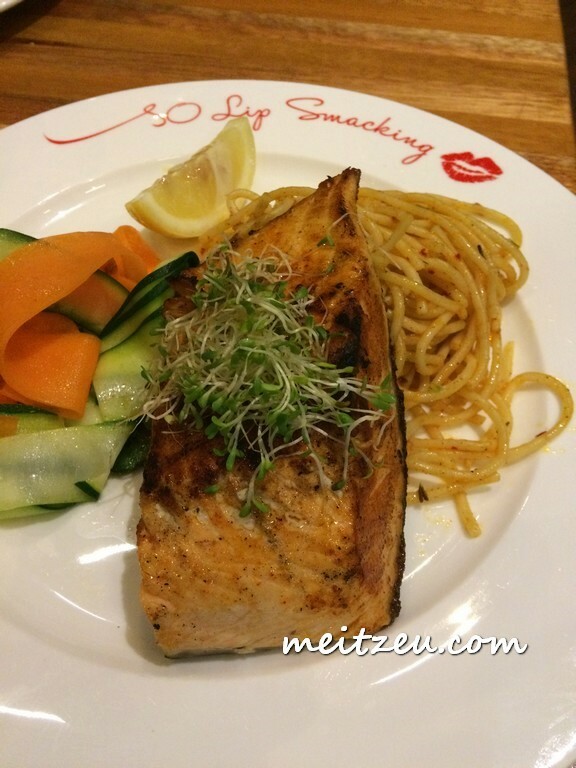 I like their salad with prawns and grilled Salmon along, a dish that is worth for a try. 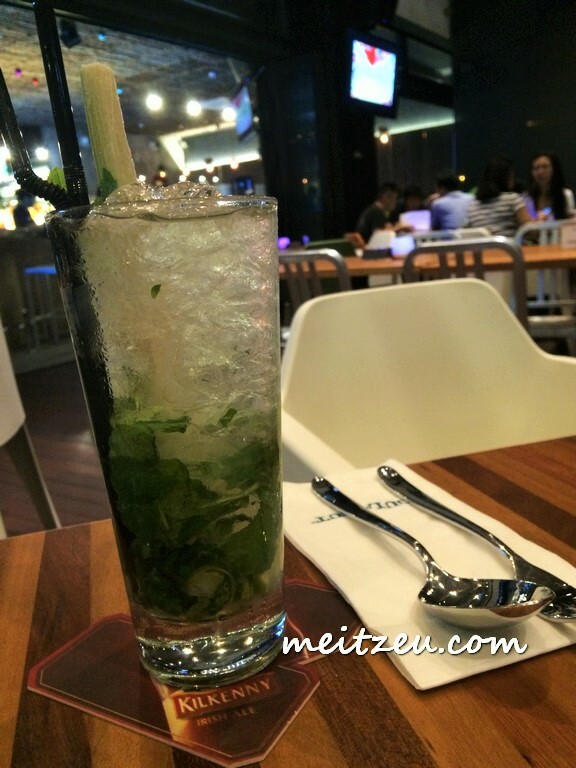 Mojito 是他们家的招牌饮料之一！那天我们还享受了五折的 Happy Hour Promo! In fact, SOULed OUT serving mainly on Malaysian food and add on with Western cuisine as well. Portion was satisfying. Indian selection, Chinese selection, Malay selection et cetera. I don't really felt good with their desserts, they should have work better on this. 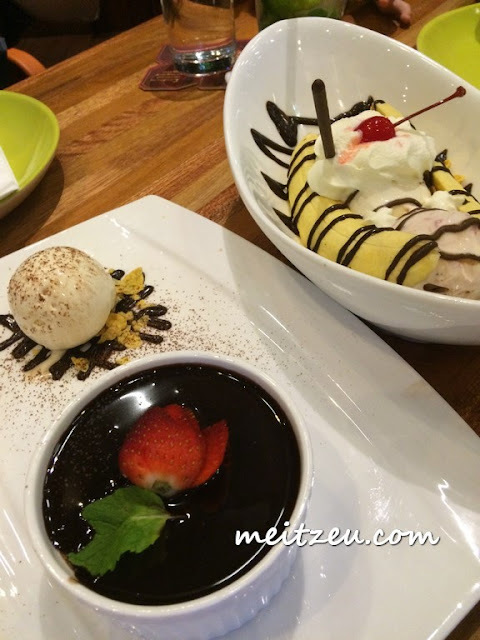 Chocolate lava was presented in a "wet" way while the Banana split should have been presented in a very surprising way. Haagen Daz Ice Cream was good! I like ice creams! Anyway, there's space to improve on their desserts! Off Coastal Highway, 88000 Kota Kinabalu, Sabah, Malaysia. Hi! Nice food to start a weekend. I would wish they have a branch in Kuching as well.